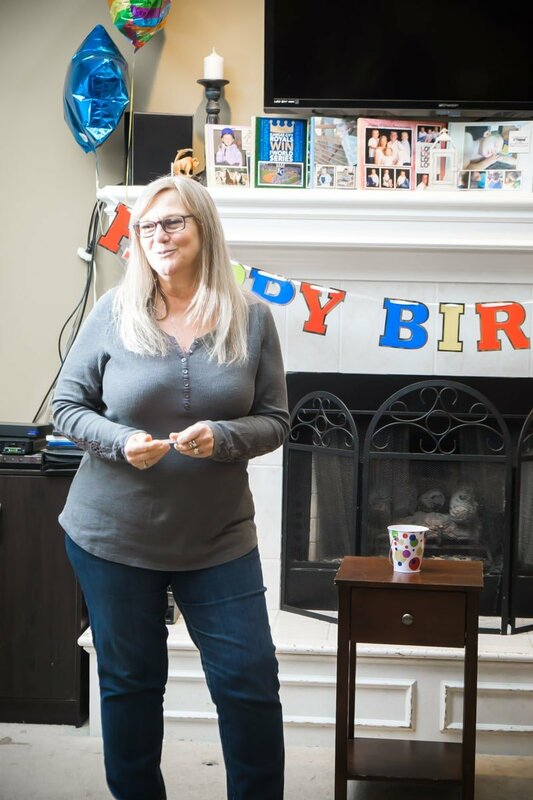 These fun party games for adults are really some of my favorite party games ever, not just fun games for adults! They’re perfect for an adult game night or anytime you need some fun group games! One of my favorite things to do is host an adult game night! We typically play one or two of these board games for adults and then one of the two adult party games below! Or if it’s an outdoor party, we play these fun outdoor games along with one of the games from this list. These are some of the most fun games for adults because they’re designed for you to just have fun and not worry about whether you look silly or not. 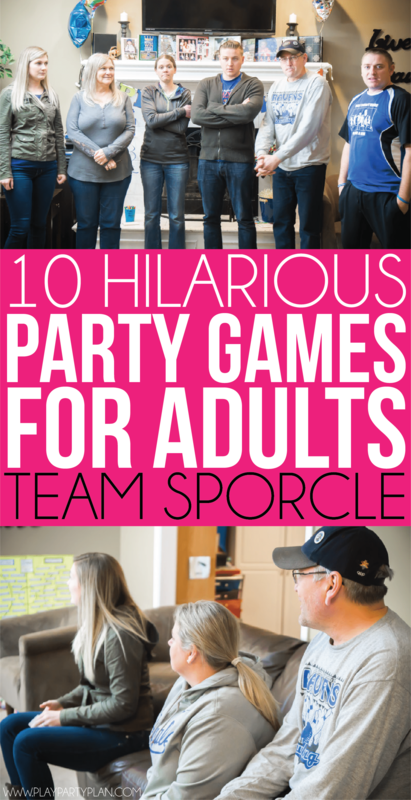 They’re some of the most hilarious and fun party games for adults (or groups ever!) and would work for any ages – even a 50th birthday party! If you’re planning a themed party, try these 4th of July party games or use these games with red, white, and blue words! All of these games are games to play in a group so if you’re planning an adult game night, make sure to invite over at least 8-10 people for these games! Most of them require at least that many! Want a printable version of these games AND more adult party games? Get my party games for adults ebook with all the instructions, game lists, and more included right in the ebook! Click here or the ebook image below to check it out! Watch the video below to see how much fun these games can be! You may have seen this game in the TV show Celebrity Game Night or even on the Game Show Network Show Chain Reaction! 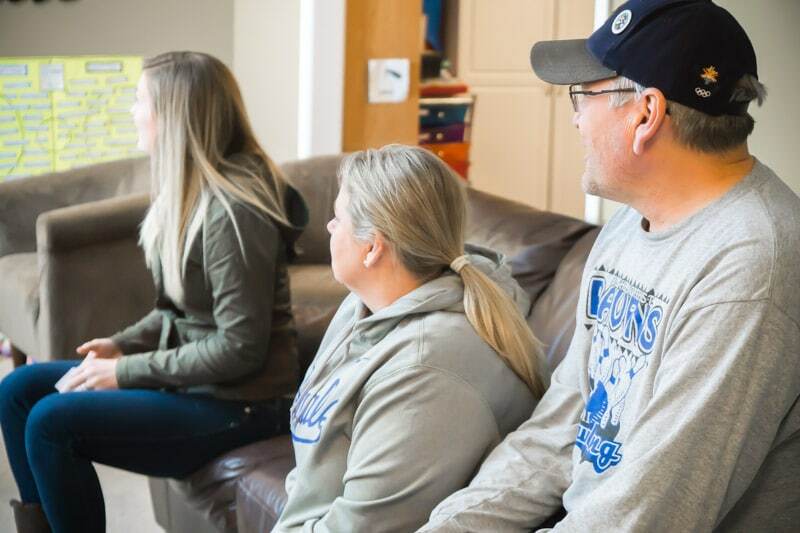 The basic idea is that one person guesses while the other three people work together to get their teammate to guess a word, each person saying one word at a time. This one can be really funny when the people providing the hints are not on the same page at all! One of my favorite party games for adults ever! Slips of paper (probably about 1/4 sheet of paper for each) or index cards, each with a word/phrase of your choice written in large letters so the team can see. I’ve put together a sample list here that you can print ! Or you can use this one that one of my readers (thanks Rachael!) made for me that is already sized to print for index cards. Or use cards from a game like Reverse Charades instead! If you’re having a themed party, use words that reflect your theme like monster mash, jack-o-lantern, Haunted Mansion, etc for a Halloween party. Team A chooses one person to be the guesser. The rest of Team A should stand up next to a table with the pile of cards or papers on it, standing shoulder to shoulder in a line. After both Team A and Team B have gone once, switch the guesser for Team A and play again. Repeat until each person on each team has been the guesser or for the number of rounds you designate at the beginning of the game. This game is like the game show Name that Tune except you’re naming movies instead! Well sort of, it’s a bit more complicated than that but if you like movies, this is a great one for your group! Notecards or quarter sheets of paper with movie titles. I’ve put together a list of movies to get your started. If you’d prefer to play with something other than movies, be creative and come up with your own list of items. Split your group into two teams and put a buzzer on a table at the front of the room where you’ll be standing. Explain to players that they will be trying to get their team to guess a movie title using a limited number of words. The catch is that they will be going head to head with the other team to bid on who gets to play each movie title. Each player will see the movie title and determine how many words they need to use to get their team to guess the movie. They will battle against one another to determine who can get their team to guess the movie in the least amount of words. Ask one player from each team to come up to the front and stand on either side of the table. Show both players the first movie title card at the same time. The first player to hit the buzzer will give their bid first. So for example if the movie was Forrest Gump a player might grab the buzzer and say four (Hanks, box of chocolates). If the other team thinks they can do it in less, they can say any number less than four. Players will go back and forth bidding until one team concedes to the other team and lets the other player take the bid. The player who wins the bid will then try to get their team to guess the movie in the number of words they bid. So if the final bid for Forrest Gump was two, they might say Hanks, Bubba. A team only has one chance to guess the right movie. Repeat with two new players from opposing teams until everyone has had a chance or until your movie list runs out. The player with the most points at the end of the game wins! One point for each correctly guessed movie. In this game, players will have to try to be the first to pick out “which one doesn’t belong” from a list of words in a given category! If they get it right, they keep playing. If not, they’re out! 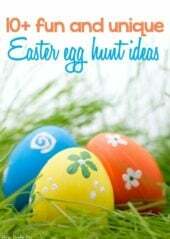 List of categories/items (see below) – here’s a free sample list to get you started on ideas. The words highlighted in purple are the out of place words. Put together a list of items that fall into a particular category. For instance, books written by Jane Austen might include Pride & Prejudice, Emma, Persuasion, etc. Add three items to the list (in random order) that do NOT fall into that category. It’s better if you can come up with ones that might seem like they fit the list but don’t. So your Jane Austen list might look like this once you’re done. Create as many category lists as rounds you will be playing, which is typically the number of people in your group minus 1! Split your group into two teams and put a wooden spoon in between the two teams. Explain to the teams that you will be giving them a category and a list of items. Tell them that some of the items will fit into that category and others won’t. As soon as they hear an item that does NOT fit in the category, they should run to the middle and grab the wooden spoon then tell you which item was not correct on your list. If they are wrong, they are out and have to go sit in a designated area for players who are out. If they are correct, they choose someone from the opposite team to be out and go back to their team to continue playing. If someone guesses wrong, continue on with the same list you were using until someone gets one right. If you get to the end of your list and no one has guessed the incorrect answer, read through the list one more time and give people a chance to guess which ones were wrong if they want. If no one has a clue, scrap that list and move on to your next one. Continue playing until all team members from one team are out. The winning team is the team with a player left standing (like dodgeball). Teams will compete to try and get their team to guess a song by only singing the word “doo.” You might think this game sounds easy but it’s not so easy when you’re on the spot! Definitely one of the funniest adult game night games I’ve ever played! Notecards or 1/4 sheets of paper with song names that most people will know – sample list here or you can use this one that one of my readers (thanks Rachael) created for me that is sized and ready for index cards. OR here’s a Christmas specific song list! Split your group into two teams. Only one team will be playing at a time while the other watches. Team A should choose one person to start as their singer. Have them stand at the front of the room next to a bowl filled with slips of paper with song titles. If someone doesn’t know the song at all, they can skip and pick a new song out of the bowl. Make sure to put that song back in and not tell anyone what the song was they skipped though so they can guess it when it comes back up! The other players on Team A can guess as many times as they want to try and get the right song. Whoever guesses the correct song becomes the new singer. Team A continues rotating through players and guessing as many songs as they can for five minutes (or whatever time limit you decide). You earn one point for each correctly guessed song. Once the time is up, switch over to Team B and let them try! The team with the most points at the end of the game wins. You can either play one longer five minute round or try doing a couple of shorter rounds to keep things more exciting! This is my all-time favorite game ever! It may not be at the top of everyone’s adult party games list, but it’s on mine! You play a song, you try to guess songs, and you earn points! I love music, so it makes total sense that this is one of those fun adult games I play often! And honestly, it works with kids too if you do more kid-friendly music! A CD or music playlist with songs, and a list of each song’s name and artist. If you’re having a themed party, pick out songs that go along with your theme. You can check out my black and white party for an example of song list. Or here’s a great Christmas song list you can use as well! Split your group into two teams. Teams will be playing head to head in this game the entire time. Play your first song from your playlist. When you play a song, teams will try to be the first one to shout out the name and artist of the song. The first team to guess the song and artist will earn points for their team. Points can be split across the two teams for each song if one team guesses the song first and one song guesses the artist. You can also give additional points if the song is from a movie, Broadway musical, etc. but it’s completely up to you. I also recommend you have a helper to watch and see who guesses things first so you have a second opinion if fights break out. HA! Play each song on your playlist and let teams battle to name the tune first until the playlist is over. Keep track of the points throughout the game. We typically play one point for the name of the song, two points for the artist, and one point for the original movie or Broadway musical the song is associated with. The team with the most points at the end of the playlist wins! You can actually buy this game, but we always just make up our own based on the party theme. This game is one we played first at what I recall as the funniest adult game night ever! I’d never even heard of this idea before and now it’s always on our list of fun party games when we’re planning an event! The rules are simple – roles are reversed in charades – but it’s hilarious to see what people come up with! Cards with random words on them that people can act out. You could use the cards from a game like Guestures, Taboo, Pictionary, etc. Or you can use this sample list of random terms, or generate a list of your own with this Charades word generator or like I said, just buy the game Reverse Charades! Split your group into teams of 4-6 people. This game works best with a smaller group of people (like 8-12) but if you have more, just make more teams. Choose one team to go first. Have that team select one person from their team to be the guesser for the round. Everyone else on the team will be acting out the clues TOGETHER. Set the timer for two minutes (or however long you choose) and tell the acting team members to go. The team will pick up their first card and as a team try to act out the word on the card to get the one guesser to guess the word on the card. No talking allowed, even amongst the group of people acting out the word. If you want, you can tell teams that they can have one “pass” during each round. If they can’t get the guesser to guess the word on the card, they can pass that card and move on to the next. Once the guesser has guessed the word on the card, the team will pick up another card and repeat. Continue going through cards until the timer has run out. Switch teams. Have the other team pick one guesser and do the same thing. Continue the game until everyone on each team has had a chance to be the guesser or for a pre-determined number of rounds. The team with the most correctly guessed cards is the winner. I can’t tell you how many times I played this game with my friends! One of the reasons it’s one of the most fun group games is because it’s a little different every time based on who people write down! The general idea is that you’re trying to guess celebrities using words and acting out. It sounds easy but three rounds of play makes it seriously one of the most fun party games! Give each guest 10 slips of paper and ask them to write the name of a celebrity that they think everyone (or most people) will know. Think Tiger Woods, Michael Jordan, etc. Split your group into two teams. If you have even numbers I always think it’s fun to play guys vs. girls. This game is better with a smaller number of people like 10-15 but can still be played with more or less. Explain to your group that there will be three rounds of play, all using the exact same celebrity names, so they need to pay attention and listen while the other team is playing because they might have to guess that celebrity during the second or third round. Each round will be played in the exact same way, except one main difference. Set your timer for two minutes (or however long you want) and pick a team to go first. 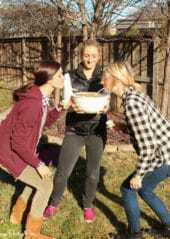 The first team member picks a name out of the bowl, tries to get their team to guess (using the round specific instructions), and once their team guesses the person, the next team member will run up and go. Keep playing until the timer runs out then switch teams. Play continues in that round back and forth between teams for two minutes until the entire bowl is empty. Then move onto the next round and do the same thing. Round 1 – Players must describe the celebrity using only words. They can say anything they want (other than the name) but only words, no acting. Round 2 -. Players have to act out the celebrity, no words. Round 3 – Players must say only one word to describe the celebrity. Once they pick the word, they’re stuck with it until the team guesses the correct celebrity. Count up how many celebrities each team guessed correctly during round 1, round 2, and round 3. The team that guesses the most celebrities correctly total wins! *Before you start the game, determine how you would like to handle situations where someone cannot get their team to guess the celebrity or if someone has no clue who the celebrity is. You can either allow teams to pass once (and just put the celebrity in a side pile to not be counted as a point for anyone) or just make the team member continue trying until the time runs out and then take the clue out. This is actually a game you can play all over the internet these days. I had no idea what it was until my dad started playing it at our family reunions! The basic idea is that you name a category and have people name things that fall into that category until they run out of ideas and are out. The last person standing wins! Lists of items that fall into a particular category. The lists need to be something definite and not subjective so people can’t just make up whatever they want. So for instance again, Jane Austen books, and not books about love. People could say pretty much anything is about love if they want to! This game can be played either as individuals or teams. I’ll explain how it works to play as individuals first then include a mention of how to incorporate team play! Have everyone stand in a line at the front of the room. Tell them the first category. Starting with the first person in line, players must name something that falls into that category within 5 seconds. If they can’t think of something or they name something that’s already been named, they are out and go sit down. Continue playing in that category until there is only one person left. That person wins that round, which can either mean they win a prize (like a bag of candy) or they win points that add up at the end of the game! If you want to play a team version, you have two different options. First, you could have one person from each team stand in the line (let the team nominate their player based on the category) OR you could have everyone stand in the line, and players win points for their teams. Keep playing with different categories then tally up the points (if you’re playing with points) and see who won overall! If you’re playing with points, I recommend doing something like the top 3 left get points (5, 3, and 1) so that even if someone doesn’t win every round, they still have a chance at the end! This game takes a bit more planning ahead but is still really fun! I saw it once on a cruise then tried it at an adult game night a few year ago and fell in love with the game! The idea is that you have an expert show your guests how to do something short (like a 1-minute tutorial) then teams compete to do the same thing they just watched the expert do! For this game you are going to need a couple (3-5) of “experts” who can do a short pre-decided tasks well. You can ask your guests, family members, or close friends to be those experts. Some fun ideas are things like decorating a cupcake, creating a smokey eye makeup look, twirling a baton, shooting sock “basketballs” into a trash can, etc. Here’s a full list of ideas to get you thinking. Make sure the tasks are short (like 1 minute). Split your group into teams of 3-4 people. Make sure you have enough supplies for each task equal to the number of teams + one expert. In other words, if you have three teams and you’re doing a cupcake decorating task, make sure you have enough supplies for four people to decorate cupcakes, one expert and three participants (four cupcakes, four things of frosting, four tips, etc.). You can also create bigger teams (4-6 people) but then you’ll want to have 4-6 tasks so everyone can participate in at least one. The game will consist of the number of rounds equal to the number of tasks you’ve come up with. So if you’re doing cupcake decorating, basketball shooting, and a smokey eye, you will have three tasks and therefore three rounds. Begin your round play. Each round will consist of two parts – the expert and the players (see descriptions below). Once the minute is up, have your cupcake expert decide which cupcake is first, second, third place, etc. Decide before the game how many points each place will be, so for instance #1 in each round will be 5 points, #2 will be 4 points, etc. Continue the same play through all of your rounds/tasks. The team with the most points at the end of all rounds is the winner. To begin the round, the expert will come into the middle of the group so that everyone can watch. Set the timer for a minute and tell the expert to complete their task. So if it’s decorating cupcakes, ask them to decorate a cupcake (as fancy as possible) in the allowed minute. If it’s shooting sock basketballs, have them see how many they can make in a minute, etc. Once the expert is done, have each team choose one team member to come into the middle of the group. Members of each team will then have the same one minute to decorate a cupcake (or whatever your task is) exactly the same as the expert. Teams will all compete at the same time so no one gets to watch what the others did before them. Unless you have more tasks than team members, each person on a team can only participate in one task. Unlike the other games where you score points and there’s a definite winner – this one is subjective. The expert picks which one they think was done best OR you can also do a timed thing where they have to say make 10 sock basketballs first. Want even more party games for adults? 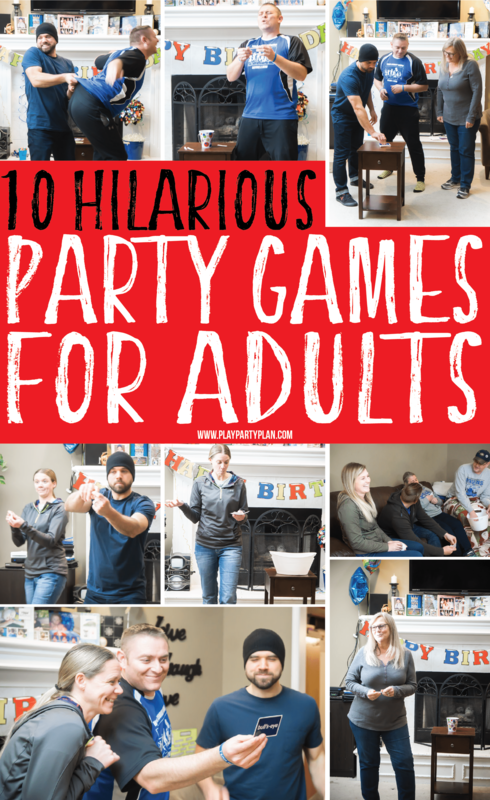 Get the party games for adults ebook with 15 of my favorite party games, a bonus section of the best board games for adults, AND sample lists for all the games so you don’t have to come up with words on your own! Don’t forget to pin these adult party games for later! Wonderful ideas…and practically free! Happy SITS day! Oh my goodness, “How Do You Doo?” sounds awesome, and we will definitely be checking that out at our next game night! 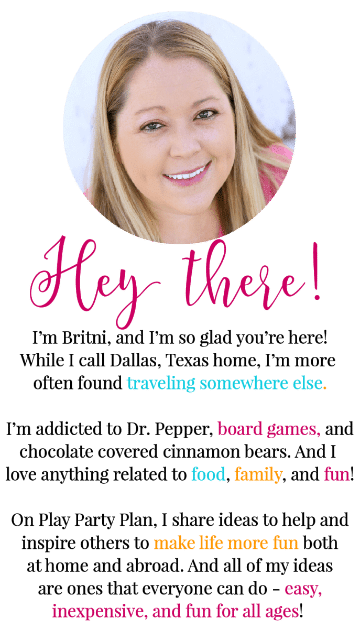 I’m bookmarking this site for sure – we are big game players, so I’m sure I’ll be back for more ideas! I’ve seen Cards Against Humanity and am thinking I need to try it too! Sounds good, sounds interesting and sounds so much fun. The how do you doo game sounds so much fun! Especially at this time of year all I want to do is sing Christmas songs and get in the Christmas mood. This was one a great one. I am going to try all of them. Thank You! Thanks for your awesome ideas to play awesome games. 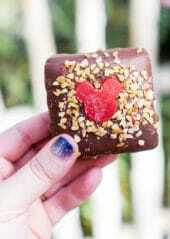 I will try one of them soon with friends. I hope I will enjoy so much. Thanks, I’ll definitely try it out! This is so helpful. Thanks for coming up with these games. Your welcome! Have so much fun!! I love your game ideas and we’ve played a bunch of them now! We love the wooden spoon game most but now have run out of categories to play with. Where did you come up with your categories and do you have any others to pass along? Thanks for your fun ideas! I just came up with them off the top of my head (using ideas that have definite, not subject, answers). I don’t have any more right now but I’ll try and get some more up in the next few months! This is such a valuable post! Thank you! I noticed that all the links to your word lists no longer work. Are they updated somewhere? Thanks again! These are wonderful ideas and explained so well! Thank you and awesome job!! Yay, glad you enjoyed them!